If you’re not doing them, you should be. According to Wikipedia (is it blasphemous to cite Wikipedia in a law librarianship blog post? ), an informational interview is “a meeting in which a job seeker asks for career and industry advice rather than employment.” However, these get-togethers can serve a number of different purposes, whether you are seeking employment, just getting started as a library school student, or are happily employed. Library school students: Informational interviews can help you determine which career specialty is the best fit (like law librarianship!) before you complete your degree. You may be able to fit in specialized coursework that will give you a boost once you start your job search. Also, librarians enjoy helping future librarians, so you’ve already got a foot in the door by saying you are a graduate student. Currently employed librarians: If you’re in a new(ish) position, informational interviews can help you learn more about the company or institution you’re working for. Interview people in other departments or branches in order to get connected and learn the organizational culture— you never know what collaborations might grow. Plus, it’s always good to know about the workflows of your colleagues, especially those in very different roles. Informational interviews outside of your organization can also help you to keep your skills and knowledge fresh, helping you to keep your options open. 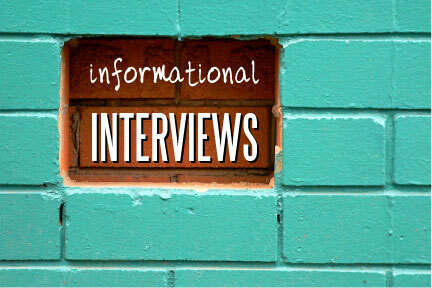 Job seekers: A mainstay of the informational interview as a concept is that you don’t come out and ask for a job. It’s a way to learn and make connections. The added bonus is that if you make a good impression, the individual you interview will hopefully remember you when a job eventually opens up. It might be just the thing you need to help your resume and application rise to the top of the pile. In all of these situations, informational interviews can help you grow your network, providing low-to-no-stress opportunities to pick the minds of the best and brightest in the field. It is rare that someone will turn down the opportunity to talk about themselves, particularly in order to help an engaged colleague who wishes to learn more about a given field. There’s nothing to say that informational interviews have to take place in person, either. You can easily leverage social media or good old fashioned email to initiate a conversation over the phone or via Skype/video chat. This expands your scope of potential connections even if you are too busy to travel or geographically restricted. It’s also important to consider interviewing professionals outside of traditionally library-centric careers. In this job market, you’ll need to think outside the box and pulling from other industries can elevate your contributions to another level. A few pieces of advice before you jump into information interviews. First, do some research before you go and work from a list of questions. When you’re asking for someone’s valuable time, it’s important that they know you’re taking the meeting seriously. If the conversation goes well, volunteer your assistance with an interesting project at the end of the meeting. Don’t be too obvious (i.e. don’t beg for a job) but let them know if you think there is a specific skill you might be able to contribute. It’s a great way to show interest and potentially get your foot in the door. Look presentable, even if you’re doing a video interview (check out Fast Company’s Webcam Glam: 3 Easy Tricks To Look Polished On Video Chats). Most importantly, don’t forget to follow up with a gracious thank you, including a link to your online portfolio or digital CV. How did you get your present job and what kind of experience and preparation helped you the most? How is the economy affecting your job and industry? What are the duties/functions/responsibilities in this position? What is a typical day like in your job? Erin Dorney is the Outreach Librarian at Millersville University Library in Pennsylvania. She can be found blogging at www.libraryscenester.wordpress.com and on Twitter @libscenester. She welcomes you to connect with her for an informational interview!